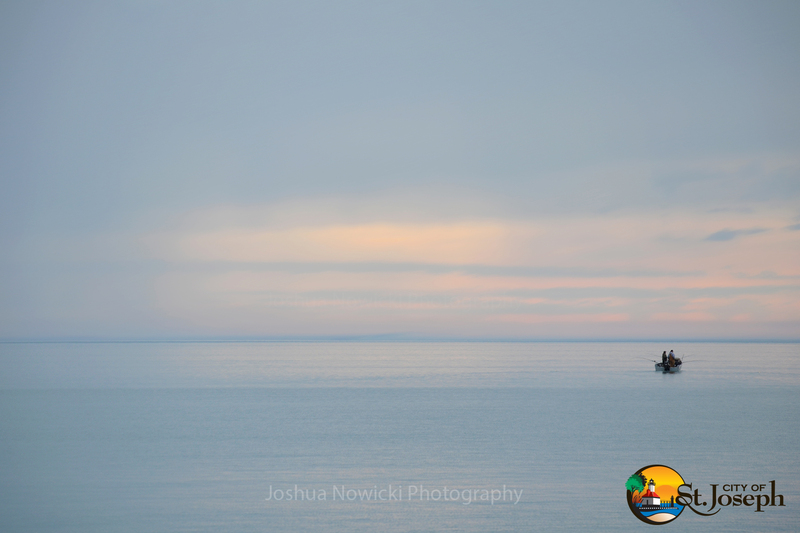 The bluff in St. Joseph offers some of the most beautiful vistas in Michigan. The Maids of the Mist fountain, featuring the two figures, Constance and Hope, has delighted visitors to Lake Bluff Park since 1892. Prior to being moved to St. Joseph, it entertained thousands at the Chicago Interstate Industrial Exposition (1873- 1891). 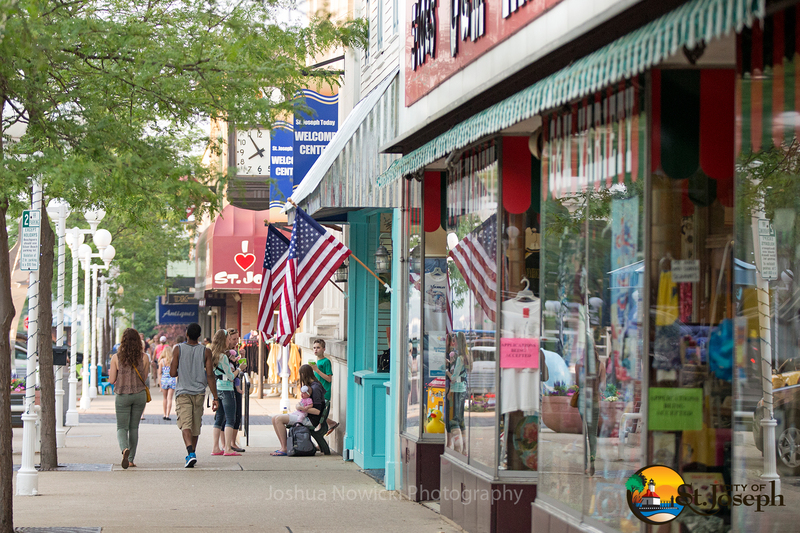 Downtown St. Joseph welcomes visitors with its quaint streets, sweet aroma of fresh-made sweets and wide array of shopping. 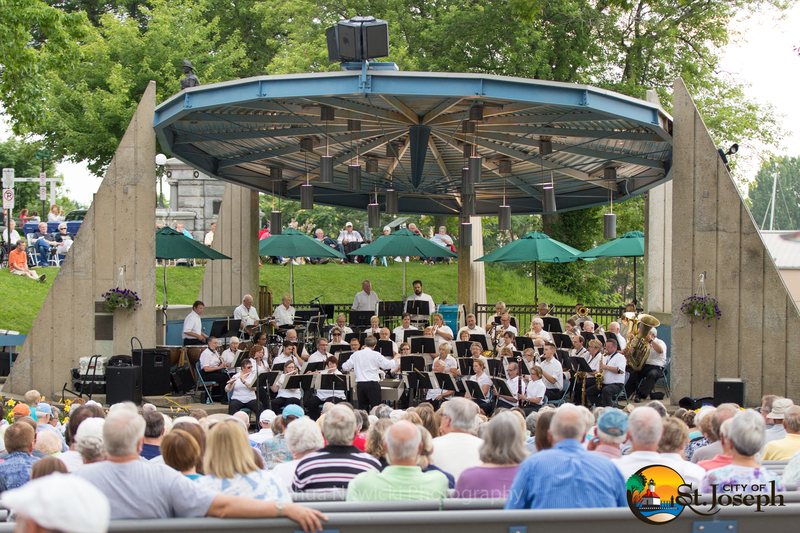 The John E. N. Howard Band Shell along Port St. is the weekly scene of free concerts throughout the summer. 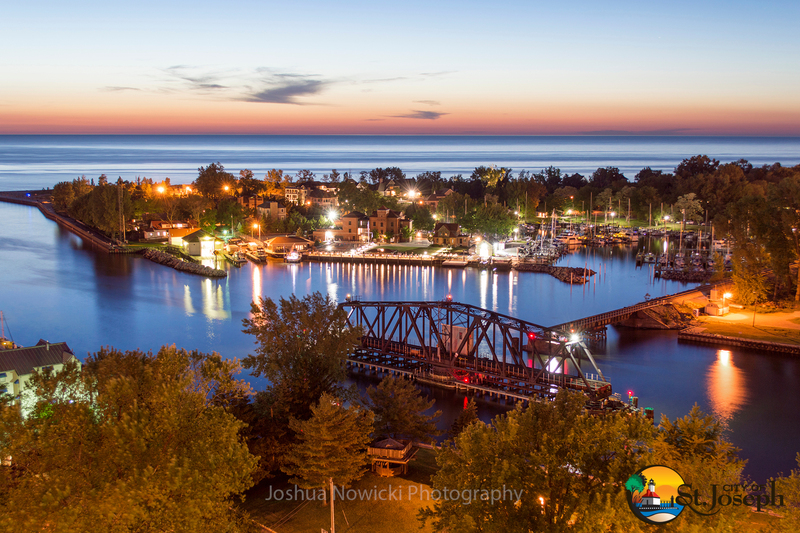 This popular venue offers toe-tapping entertainment and incredible views of the St. Joseph River and Lake Michigan. 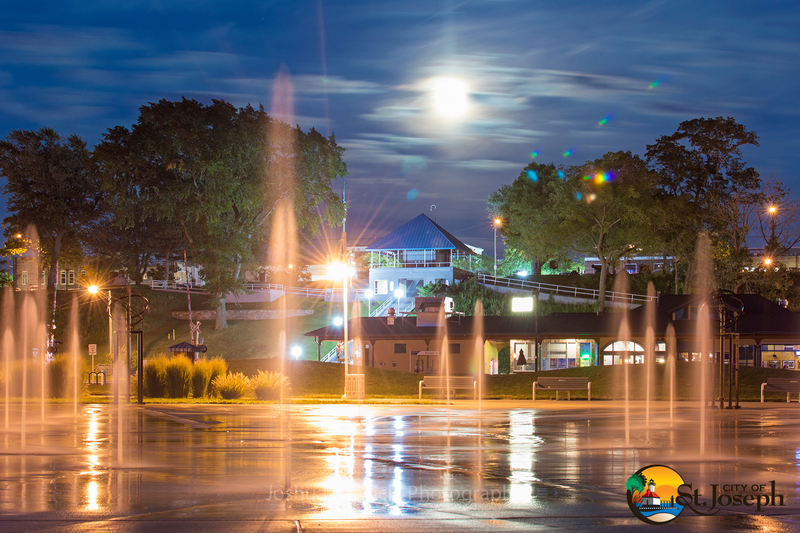 The Whirlpool Centennial Park and Compass Fountain are favorite destinations from mid May to end of September. 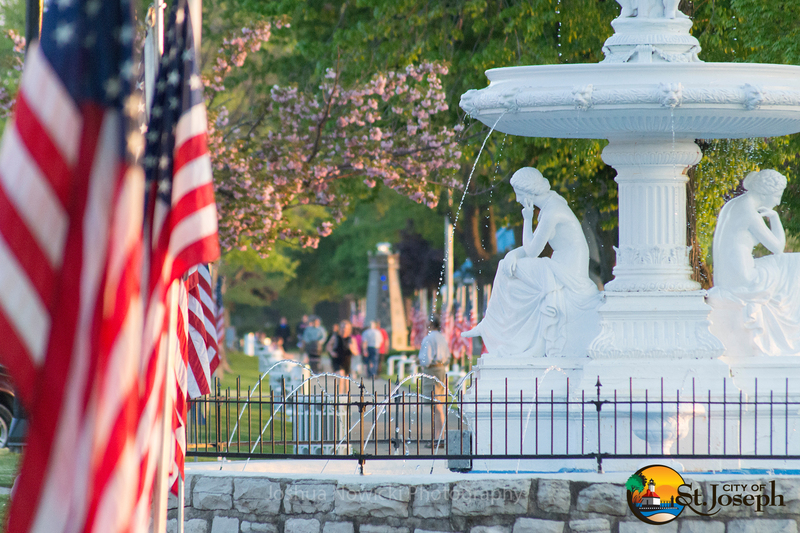 Located just yards from Silver Beach, the fountain’s 8 cannons shoot 2,560 gallons of water per minute. All ages love dashing beneath the water as it arcs 35 feet up and 75 feet out across a 150-foot diameter splash pad. 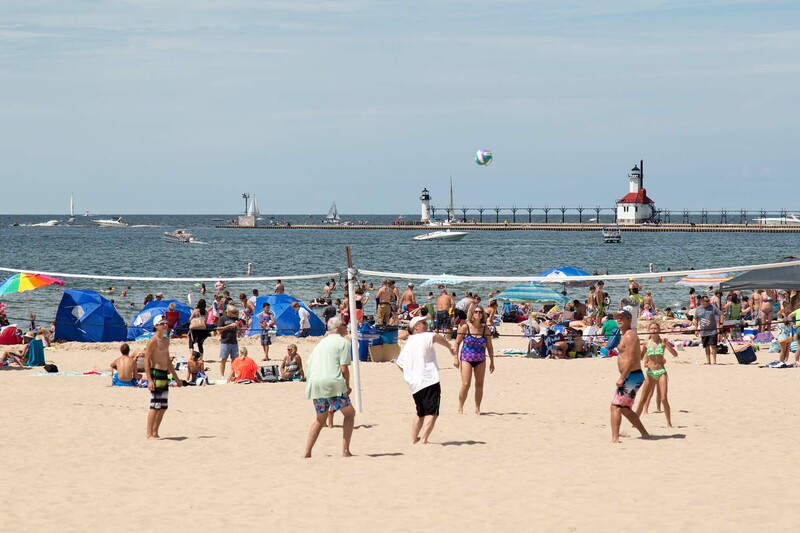 Silver Beach is ranked among the top family beaches by Parents Magazine. It’s soft sand and fresh water provide many memory-making pastimes including swimming, volleyball, beach combing, castle building and some of the most amazing sunsets. 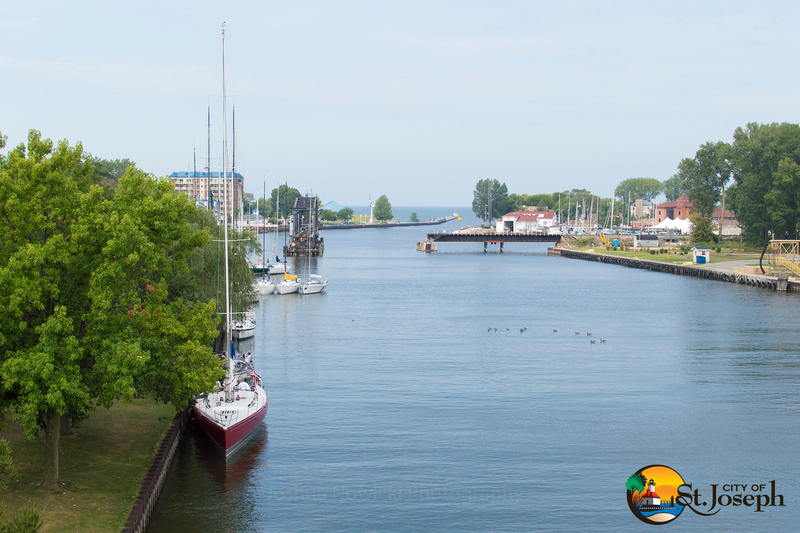 The St. Joseph River Yacht Club is nestled on the north side of the river beside the City’s West Basin Marina. The private club, founded in 1913, is located in the historic former U.S. Ninth District Lighthouse Depot. It hosts several popular sailing and swimming events, including the annual Labor Day Weekend Tri-State Regatta. 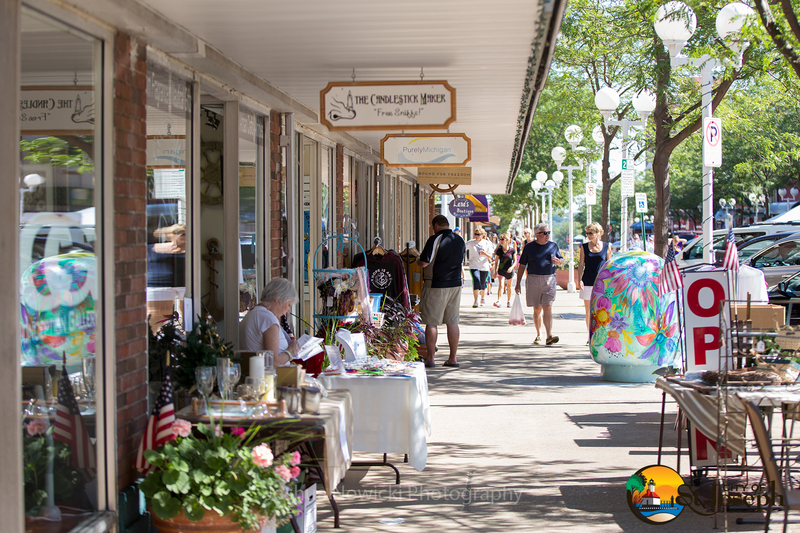 Downtown St. Joseph is a year-round shopping destination with its Victorian-era architecture, quaint shops, wineries, bakeries, brew pubs and restaurants, many offering views of Lake Michigan. 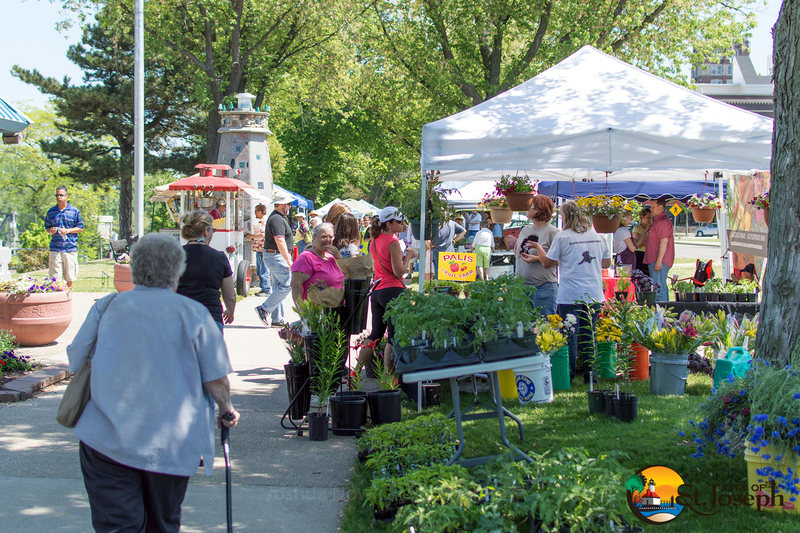 Farmers Market, located in Lake Bluff Park between Broad and Pleasant Sts., is open on Saturdays from the end of May to early October. Southwest Michigan is nationally renowned for its fresh fruits, vegetables and flowers and this market showcases the just-picked goodness. The St. Joseph River has a rich history. From native tribes to French explorers to brave lighthouse keepers to fearless Coast Guard sailors to recreational boaters, these waters are still a source of fishing stories, boat parades and quiet ponderings. 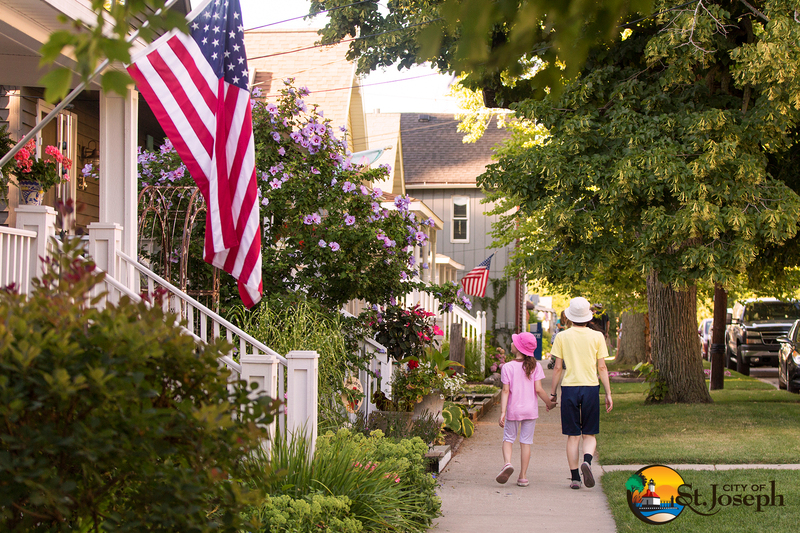 Quiet, tree-lined streets, Victorian-era homes and sidewalks make this one of the most picturesque, walkable cities in the Midwest. 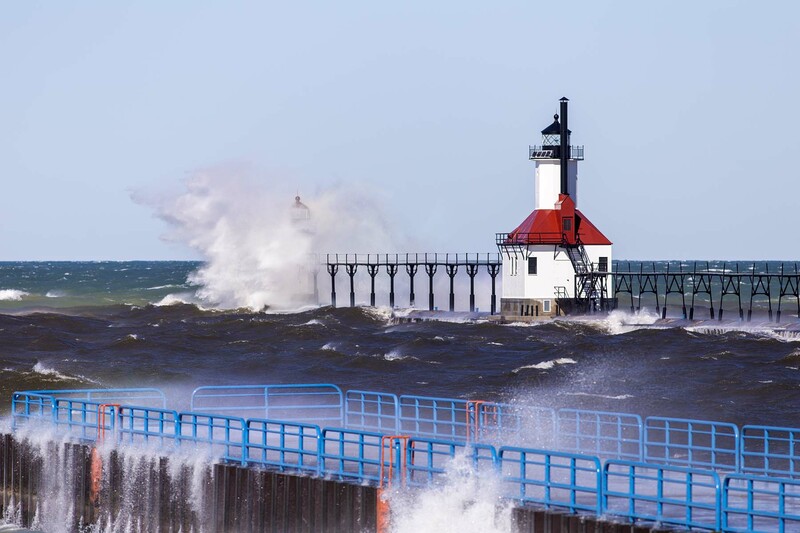 The South and North Piers attract thousands of residents and visitors annually to walk along the river to the lighthouses, fish with a buddy, spend romantic moments with loved ones or watch the sun bid the day goodbye in a blaze of glory. Fishing on Lake Michigan or the St. Joseph River is an angler’s dream. Bring your own craft or charter a boat to catch coho salmon, brown trout, steelhead, yellow perch, smallmouth bass or walleye. You can purchase the required license at nearby bait and tackle shops. 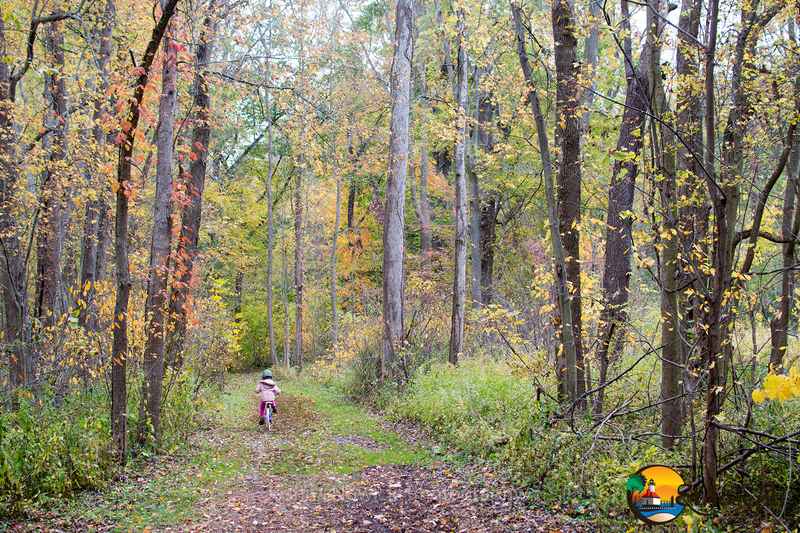 The Harbor Shores Trails and John and Dede Howard Recreational Trail offer miles of scenic walking, running and bicycling paths that take you through the woods, by the Paw Paw and St. Joseph Rivers and alongside Lake Michigan. 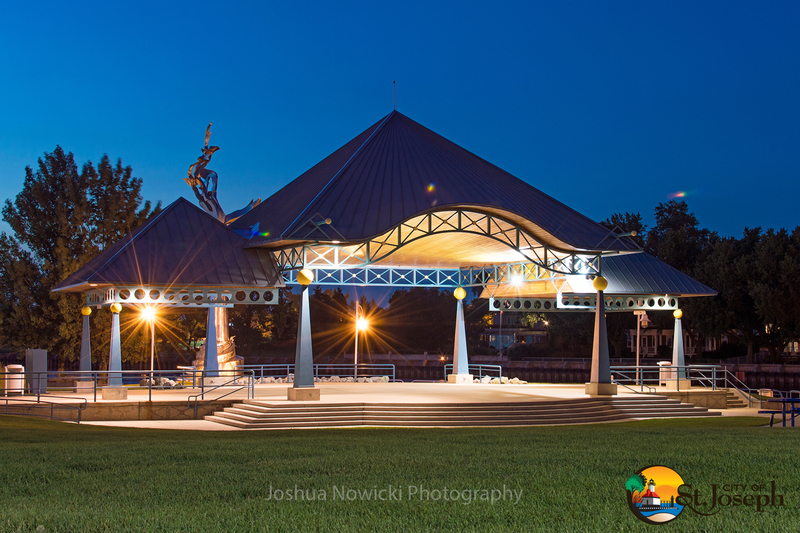 Shadowland Pavilion, located on Silver Beach, can be rented for family gatherings and special events. It is also a popular concert and performance venue. 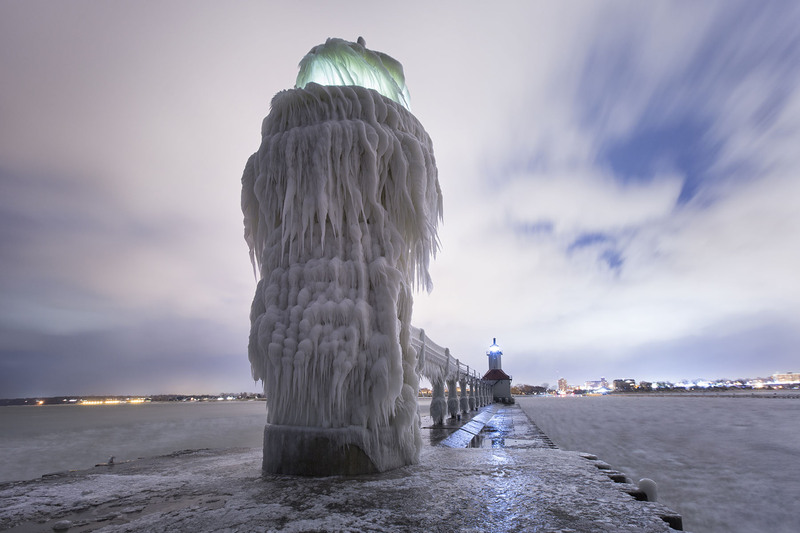 The historic North Pier Lighthouse is one of the most photographed icons of St. Joseph. Built in 1907, it recently underwent a $2 million restoration, funded by private donations. In addition to being the subject of millions of photos, the lighthouse was also featured on a U.S. postage stamp in 1995. 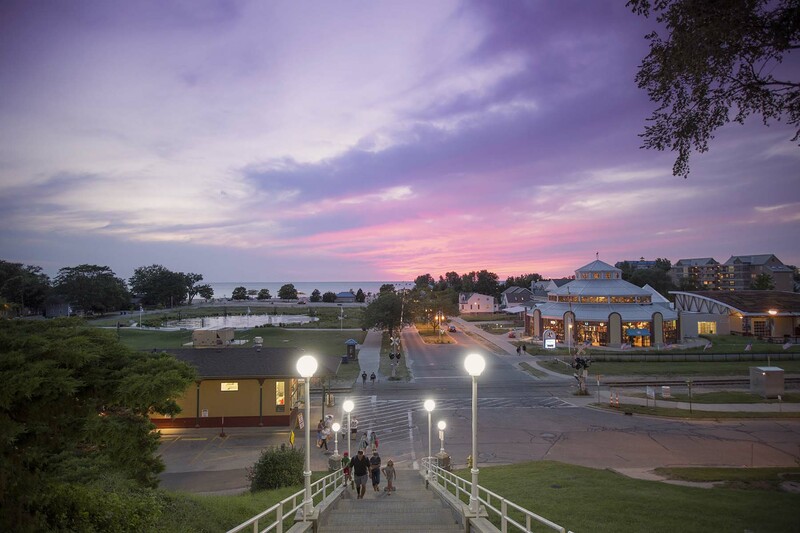 Light Up the Bluff is one of dozens of festive events held in St. Joseph throughout the year. 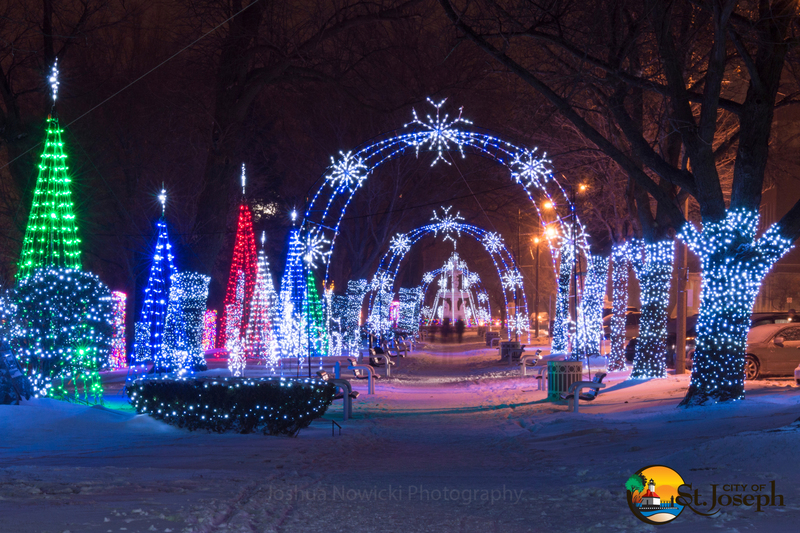 From early December to mid-February thousands of twinkling lights brighten our winter nights along Lake Bluff Park. Other winter activities include an outdoor public art display, Luminary Festival, Live Mannequins, Reindog Parade, chili tour and ice carving festival.